Infection can affect the gums, inner part of the tooth or root system, in some cases, cysts are formed. If you get an infection in the canal can also experience pain and inflammation of the gums. To relieve swelling and pain, which was formed as a result of attack by bacteria, it is possible to do the following procedures. But definitely need to go to the dentist. Antibiotics penetrate not only in soft tissue but also in skeletal system. To relieve inflammation of the nerve or gums, you need to undergo antibiotic therapy. But buy antibiotics without prescription is now impossible, so you need to visit a dental clinic. If you don't remove the inflammation, can cause serious complications that often lead to necessary removal of the tooth. Gargle with a strong solution of salt, soda and iodine helps eliminate infectious or inflammatory processes in the oral cavity. Dissolve in a glass of water 1-2 teaspoons of salt 1 teaspoon of baking soda and add some iodine. The resulting solution rinse your mouth 3-4 times a day. Of course, it tastes nasty, but helps very quickly. Can use tincture of calendula. Spread 1 tbsp. spoonful of tincture in a glass of warm water. Mix thoroughly, and can use the solution to gargle. Procedure is carried out 2-5 times a day depending on the degree of inflammation. If you have caries of the tooth and is formed hollow, use tooth drop. Make a small ball of cotton, saturate it and put drops in the hole. Change the cotton wool every 15-30 minutes, with the weakening of pain can increase the interval between treatments. Can use any solutions for the treatment of stomatitis or gingivitis. Often they consist of herbs and various auxiliary funds. They not only reduce inflammation, but also have healing properties. But if the pain is caused by inflammation of a nerve or root system, it will not help. Mouthwash: Maraslavin, Malavit, Miramistin, Tantum Verde and others. Be sure to visit the dentist even if the pain is gone, but the swelling's gone down. If you have a tooth cyst, then this calm will not last. In some cases, treatment of the tooth can be saved from extraction. Inflammation of the gums – the process is fraught with serious complications, so do not leave it unattended. Smoking, malnutrition and improper care of the oral cavity are all factors that trigger the development of inflammatory processes. 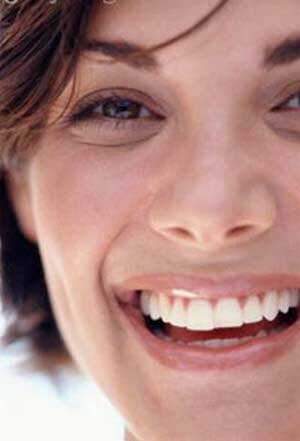 Many experts recommend to treat the gums with antibiotics. In the more pronounced forms of the disease antibiotics for gingivitis are used inside. The multiplicity of local application of antibiotics for gingivitis depends on the frequency of food intake as an external application eliminates the possibility of overdose. All treatments should be aimed at eliminating inflammation and strengthening the immune system. The gums can hurt for different reasons. Most often it is associated with inflammatory processes because of the neglect of teeth. Rinse some of the solutions helps to get rid of swelling, bleeding and pain in the gums. The most common gum disease is gingivitis. This pathology involves as swelling and bleeding. In some cases, gums may bleed after brushing. Then in the body a serious lack of vitamin C. In this case, you can begin receiving the tongue or add to your diet water mixed with lemon juice. It is enough to drink every morning before eating. Typically gingivitis occurs after infection with a certain type of bacteria. 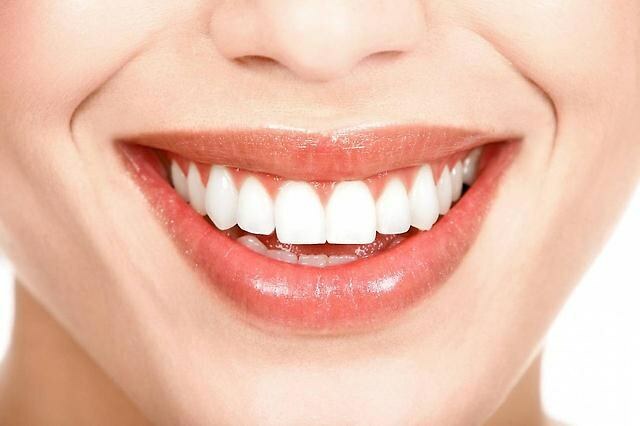 If after a meal to rinse your mouth and brush teeth regularly, gingivitis person is not terrible. With advanced forms of inflammation of the gums behind the teeth. There are inflammatory pockets in which to settle colonies of microbes. In fact, gingivitis is not as common. The most common light inflammation with pain, but no complications. It is with them we have to fight for most of us. Below are the options for dealing with unpleasant feelings. Such rinsing is necessary to resort immediately after a meal. At home this can be done easily, but at work or on the road much more difficult. When the gums are prone to inflammation, after rinsing are discomfort removed pain. To prepare the solution, enough to dissolve a teaspoon of salt in one glass of warm water. The main thing is to rinse the gums was not hot. The hydrogen peroxide helps not worse than salt water. To prepare the solution you need to take one part peroxide and one part warm water. The mixture is perfectly destroys all the bacteria and relieves the pain. Almost all of us drink black tea, Packed in bags. If you take a used tea bag, cool, and apply to the inflamed location, you can get rid of pain and swelling. The fact that black tea contains tannin, an astringent swelling of the tissues. Using the tea bag will stop the bleeding. The pain can lubricate the sore spot with a paste made of baking soda. First, the pasta was moistened with water to help lubricate the gums. The consistency should be like sour cream. Soda can neutralize the acidity in the oral cavity, which is formed by bacteria. By the way, soda is able to eliminate the bacteria themselves. Important! Too long to keep the soda in your mouth is impossible, as it can burn the skin in the mouth. If twice a day - morning and evening, to resort to rinsing the mouth with a solution of folic acid through two or three days to get rid of bleeding and pain. To prepare the solution necessary to dissolve one crushed tablet of folic acid in a tablespoon of water. Then place the solution into a glass and add 150 g of water. Chamomile infusion is the most effective means of combating gingivitis. Dried chamomile is sold in many pharmacies. Brew three tablespoons of chamomile in one Cup of boiling water. After cooling, the infusion should drain. If after rinsing will remain an infusion, it can be put in the fridge. Before the next rinsing of the infusion should be heated. If you feel unbearable pain in the gums for several hours, you can resort to the help of a gel that contains benzocaine. Well-proven "Killers". The gel can eliminate pain and also get rid of its causes. Pharmacies are also available products that contain chloride of cetylpyridinium, bromide domiphen. For sensitive gums can help gel "Parodium". It is designed to reduce bleeding and control pain. Also help fight pain paracetamol and dipyrone. Of potent drugs can be noted "Ketanov", "Ciprofloxacin", "Tavegil". But it is best to apply them after consultation with a specialist. These drugs have many side effects and contraindications. You can also use massage the gums with your fingers. Almost always this helps. In cases where nothing helps, you need to consult a doctor.